There are two levels at which our mind operates, conscious and unconscious level. The book Blink tries to unlock the mystery of unconscious mind. There has been a great deal of study in the field of Psychology and some of the areas are IAT, Priming and thin-slicing. What I like about this book is the amazing real world examples scattered across to prove the points. If I were to ask you about your feelings towards African American (Black) and European American(White) people, at conscious level I am sure you think you don’t have any partiality and you are neutral person. However if you take this Race IAT (Implicit Association Test) at there will be a surprise for you. It just takes less than 10 minutes for the exam. Give it a try and you might realize something about you which you never knew before. When you make a decision, you really knew why you made it right?, but do you? The book answers that question too. A couple of days back we were invited for dinner and in addition to the food, we were also able to feast on some local cultural events as well. I have captured video clips of local dance, using my still camera, and have converted to WMV format for better compression. 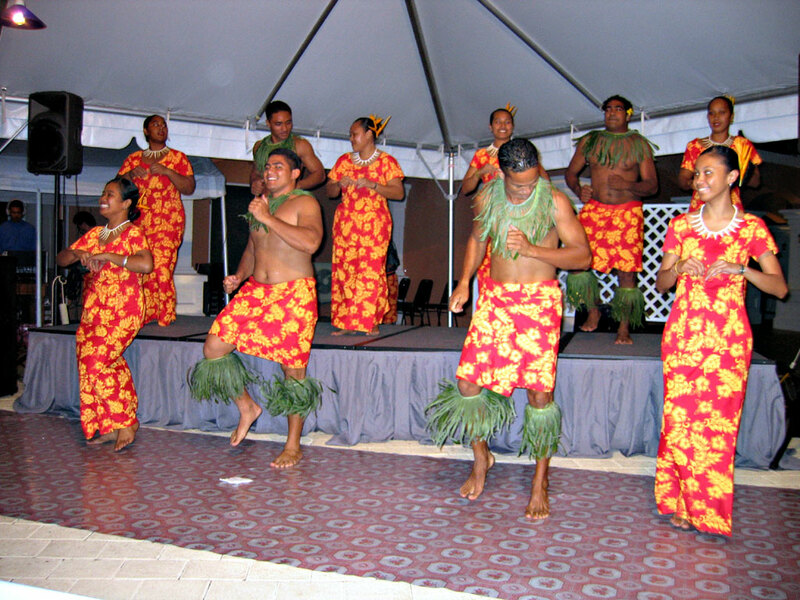 Still Picture of Samoan Dance. 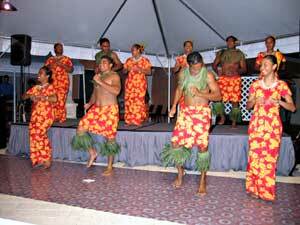 This should give a pretty good idea about the cultural dress of Samoans. Even the school uniform here is a cloth like the guys are wearing in this picture. Camel Rock, Look at it. 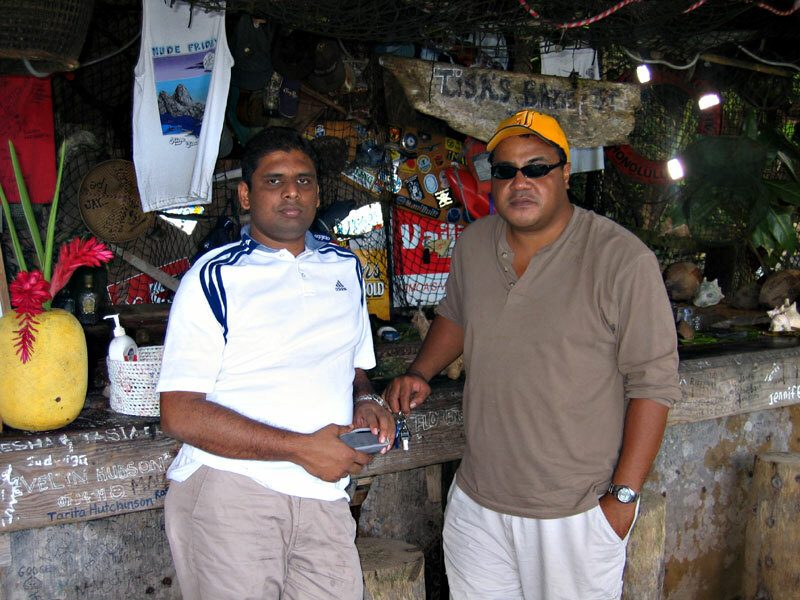 Junior, the man behind my successful project implementation here in Samoa. He is one of those people who has looked into making sure all of our needs, whether they be professional or social, are met while we are in Samoa. I have accumulated lot of memories I am going to carry back home. My recollections of Somoa will never be complete without Junior. Thank you Junior. Here is the surprise, Sri Lankan flag in the pacific! The owner who runs this place didn’t know which country this flag belonged to. 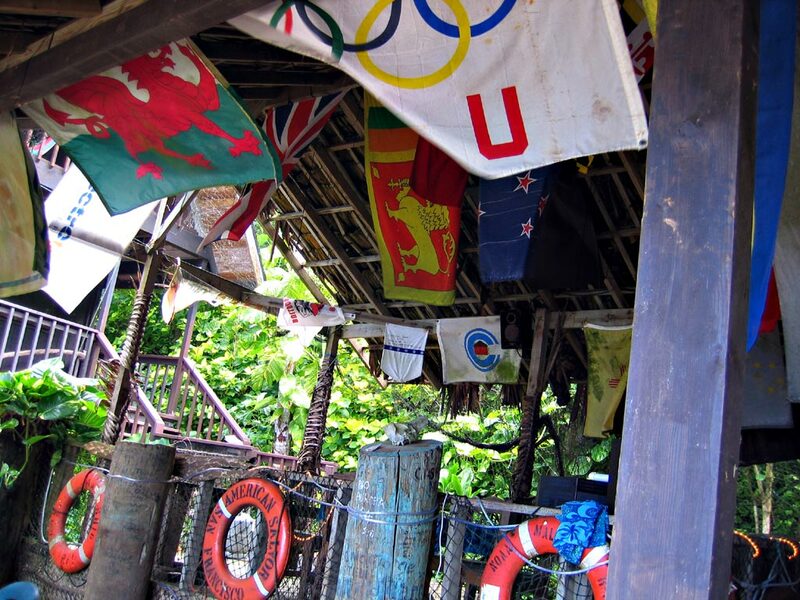 An oil ship captain had hung the flag over there in 1992 and they had forgotten to record the country it belonged to back then. He says that there have been many debates as to what that flag symbolizes and where it comes from. He was happy that the mystery has been finally solved! If you are a regular reader of my blog, you know American Samoans are unbelievable friendly people. The experience here have been very pleasant and I have made some good friends I am going to miss when I leave the island. Here is a picture of Arlene, a good friend who has made our stay a pleasant one, taken care of us and entertained us with all her humor. I am going back home, coming Monday 16th of May. 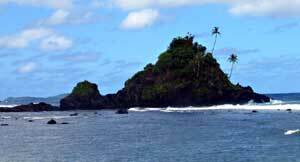 I am going to miss all the friends I have made in Samoa, in this short period of time. When I get back home, it’s going to be lot of changes too. I am leaving lot of my friends I have in my current company and taking up another opportunity mostly on J2ME space. I sure hope to keep in touch with most of them. We should do our crab session most often and also be more active on the GeekWannabees groups. I am getting a Google Icon Vase Speaker soon, which I hope will enhance not so good inbuilt speakers on my ThinkPad. On a different note, I was reading “Mr.Narayana Murthy's Speech on Late Sitting”. It was about how someone people continuously working late, always affects others productivity negatively and nothing is more true than that claim. I have worked with people like that and it really messes up everything. It all comes down to people not being able to plan their work properly or not being able to do proper effort estimation and end up working all day, all night. If you are into these tech WARs, you got to read this. I have not been writing for some time now. Work is hectic and nothing interesting has happened in my life to write about. This blog post is going to be full of links. I have few links on my Firefox ScrapBook which I need link it so that I have access to them in the future. 1. Raising Creative Kids: If you have kids or planning to have kids, here is something you should read. This link talks about how you can make them creative and how sometimes rewarding children is counter productive. 3. Friend started a Blog: One of friend has started a blog, so lets welcome her into the blog world by giving her a link here. 5. Yet, another friend of mine, is progressing on hydrogen storage research and has featured on the University of New Brunswick, press release. 6. DNSstuff: Something which might be handy when you are trying to trace an IP or trace some problems with your network. 7. Kevin Mitnick Key Note: I found the audio stream of Kevin Mitnick delivering a key note at, The Fifth HOPE. Not too technical, and the files is just over 12 meg. 8. koders: A source code search engine, you type in method names and it will pull out implementations from various open source projects.